BRC: One of the only choices out there for a folding full-suspension quality touring bike. 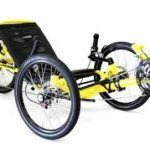 Dual 20″ wheels with options for above or below seat steering and a longer wheelbase make this an excellent handling bike when carrying a touring load. HPV: Small Package. 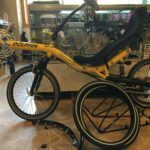 Great ride! 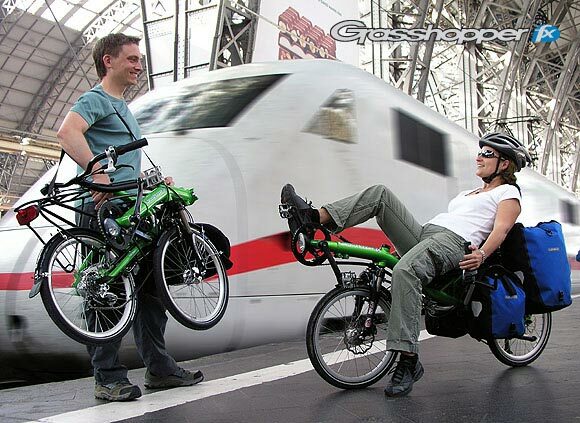 GrassHopper fx – the foldable touring recumbent by HP Velotechnik. Time for refreshing new aspects. 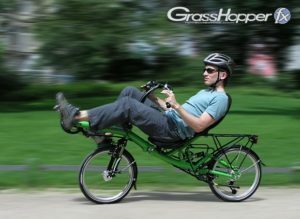 The GrassHopper fx brings action into the cycle world. 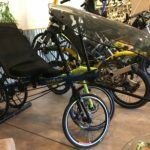 For a long time bike riding meant one thing: hump up and step downwards. The GrassHopper fx accelerates forward, suspends downwards – and folds to the side. 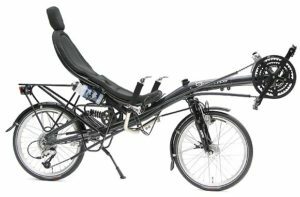 On the train, in the car or at home HP Velotechnik’s new touring recumbent likes it small. 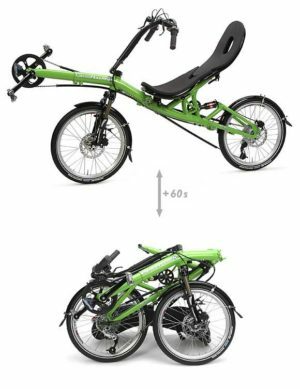 With a packing dimension from 96x50x70 cm and a weight starting from 15,3 kg the rapidly folded bike easily finds its shelter. 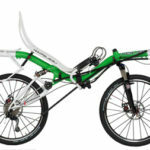 Unfolded on tour the GrassHopper fx is pure riding pleasure. Take a leap into the unknown! Open up new horizons with the GrassHopper fx.